The Mindset Digital Podcast features discussion, analysis and insights from the intersection of Social Media, Learning and Technology from the Mindset Digital team. Every episode includes tools, tips and recommendations, plus something on the Internet guaranteed to make you laugh. Guests Mike Taylor and Jen Michaels break down Facebook’s latest privacy woes and what consumers can do with their Facebook accounts. Plus, a new installment of “Something on the Internet that Makes Me Laugh,” and a surprise guest appearance by Matt Weiner. Some music is courtesy of the website Audionautix.com, and some sound effects are courtesy of freesound.org. Both licensed under Creative Commons 3.0. Tool Time stinger courtesy of Brian Hake (@volumulov). MSD Podcast 30: HQ Trivia: The Future of Entertainment or Sign of the Apocalypse? In this episode, guest Matt Weiner walks Creative Director Pete Brown through the HQ trivia app that has surged to recent popularity, and the odd love/hate relationship it has with its users. Mike Taylor returns to the podcast to share his top three finds from 2017 – tools that will help you work smarter and produce better visuals and presentations. Learn all about Talkbook, Canva, Ribbet, Talktime, Zeef and Descript in this episode. In this Three Things episode of the Mindset Digital Podcast, Pete Brown recruits Jen Michaels, Mike Taylor and Matt Weiner to help catch him up on what’s happening in the digital world. From artificial intelligence to UPS dogs to Amazon Key and something called Zeef, tune into this week’s episode. Plus, we make our first Harambe joke in at least six months. Bodega, an indoor vending machine whose name stirred up a lot of backlash. Juicero, a $400 internet-connected juiced made by the same company of Bodega. ZEEF, a curated directory of tech and development resources. Tracy Parish, a ZEEF user who utilizes the site to share free eLearning tools and resources. UPS Dogs, Facebook and Instagram pages where UPS drivers share pictures of dogs from their delivery routes. WeRateDogs, a Twitter account that shares adorable photos of dogs and purportedly rates them on a scale of 1 to 10. Amazon Key, a smart lock that allows mail couriers unlock your door to put packages in your home instead of outside of the door, which has stirred up questions of security. Amazon Dash, a small device that will automatically order household items that you’re running out of with a touch of the button. There are many challenges facing Learning & Development departments in corporate America. L&D Guru Mike Taylor says many of these challenges can be met by stealing tactics from the marketing department, plus he recommends specific tools that will give your training an immediate boost in production value and visual appeal. Canva, the free online design and graphics tool. Adobe Spark, the online graphics and animated videos tool. MailChimp, a free marketing automation tool. ReFind, a content curation website. Trianglify, the website that generates triangular patterns. Learn more about learning and development and tools at Mike Taylor’s website. Audio mastering by Jeff Gehlert of Allegro Media Design. Some music is courtesy of the website Audionautix.com, and some sound effects are courtesy of freesound.org. Both licensed under Creative Commons 3.0. Bitcoin has been in the news a lot lately as its values reaches new heights. But what are cryptocurrencies, why are they valuable and what’s the tech underpinning the whole system? Two former English majors take these questions on as they wrestle with understanding cryptocurrency and its increasing value. Plus, a new intern takes on the challenge of finding something on the internet guaranteed to make you laugh. Ep. 25: Dr. Debra Jasper on Staying Relevant n the Digital Age, plus a preview of her upcoming keynote at DOYO Live digital marketing and interactive design conference. You only have 8 seconds to tell your audience what they need to know. The digital age has changed the way we effectively communicate with each other in order to stay relevant in this new online world. Dr. Debra Jasper, founder and CEO of Mindset Digital, shares her advice on what it takes to stay competitive in the digital age, plus she previews her upcoming keynote at next month’s DOYO Live digital marketing and interactive design conference in Youngstown, Ohio, August 2-3. Learn more about DOYO Live, a digital marketing and interactive conference in Youngstown, Ohio, where Dr. Debra Jasper will be the keynote speaker. Learn more about the communication technique of being short, organized and skimmable (SOS). Learn more about making your PowerPoint slides digestible and more visual. Learn more about the work Mindset Digital does in transitioning companies into the digital world. Learn more about the Kiplinger Fellowship in Public Affairs Journalism. Audio mastering by Jeff Gehlert of Allegro Media Design. Some music is courtesy of the website Audionautix.com, and some SFX are courtesy of freesound.org. Both licensed under Creative Commons 3.0. In this Three Things episode of the mIndset Digital Podcast, Matt Weiner, Hope Madden and Michael Harwick each take four minutes to get creative director Pete Brown up to speed on a variety of recent happenings in the digital world, including Apple’s Home Pod, YouTube’s new policy for advertising on hate speech videos and a chatbot who may help you feel better about yourself. Check it out! A ranking of famously depressed robots in pop culture, though there are MANY others who could have made the list. 2) Butter Robot – A breakout and infinitely meme-able character from the first season of Rick and Morty, Butter Robot’s sole purpose is to pass the butter, and Rick is unafraid to tell him so. Unfortunately, the revelation of Butter Robot’s limited utility causes it to have a minor existential crisis. Happily, no real-life version of Butter Robot has yet to develop a crippling self-awareness of its own limited agency (“Yeah, welcome to the club, pal”). 3) Wall-E – Disney’s wide-eyed mobile trash compactor protecting a post-apocalpytic terrestrial wasteland has his cube-filled world turned upside down with the arrival of a sleek and shiny iBotwho goes by EVE. But when she fulfills her directive eons before Wall-E can possibly carry out his cleanup, he enters a lovelorn depression that leads him on an intergalactic quest to save his electric dream girl – and humanity. 5) David (A.I. Artificial Intelligence) – Spielberg’s take on the late Stanley Kubrick’s final existential drama met with mixed reviews upon release, but time has been kind to the world’s most expensive Pinocchio. As a permanent child, David’s sole purpose is to gratify the emotional needs of childless parents, but the inventive script asks what happens when he, like most humans who live long enough, ends up an orphan. Freud couldn’t have written a better account of the need for parental love. Mindset Digital’s Content Strategist Jen Michaels gets Pete up to speed on a social network archiving platform that helps resolve the ancient muffin vs. cupcake debate. Plus, how to buy a saddle for your horse, the music Facebook thinks we like and the secret name for that thing they use in shoe stores to measure your foot. All good times. General notes about digi.me‘s emerging partnerships in finance, healthcare, retail, etc. America’s Test Kitchen on “What’s the Difference Between a Muffin and a Cupcake?” [embedded YouTube video, on their blog]. Are you overwhelmed by your e-mail? Are you using Gmail? In this episode, Mike Taylor walks us through the benefits of using Gmail plugin Sortd to turn your inbox into a To Do list. Have you been to the Magic Kingdom lately? If not, you’re going to be surprised as the tech Disney uses to support your experience. In doing so, are we getting a glimpse of our even-more-connected future? Creative Director Pete Brown gets the scoop from producer Jessica James. Instagram and Snapchat keep cloning each others features. In this episode, two of the office millennials square off in a no-holds-barred ‘who-has-the-better-stories feature’ death match while Creative Director Pete Brown tries to keep up. Plus, an update to our Episode 16 review of Digit. Episode 19: Is Mastadon just Twitter with a conscience? We love trying out new social networks and tools at Mindset Digital, and in this episode, we put Mastodon.Social to the test. Some call it “Twitter with a Conscience,” but is it really? And does the crowded market really need such a thing? Plus, Ashley the Intern tries to find something on the internet guaranteed to make you laugh. Some music is courtesy of the website Audionautix.com, and is licensed under Creative Commons 3.0. Mixing by Jeff Gelhert at Allegro Media Design. Kevin Davison produced our interstitial. The digital era has ushered all sorts of on-demand conveniences into our lives – from entertainment to banking and bill paying to productivity at work. Now grocery stores are getting in on the act – letting customers fill their cart online, and then simply picking it up on the way home. Three Mindset Digital team members put local grocery store’s online ordering systems to the test, and then sat down with Creative Director Pete Brown to talk about how it went. Find out what happens when groceries go digital. Some music is courtesy of the website Audionautix.com, and is licensed under Creative Commons 3.0. You’re killing your audience with your awful slides. Mike Taylor has got you covered. Special thanks to Brian Hake for the Tool Time stinger; Audio mastering by Jeff Gehlert of Allegro Media Design. Some music is courtesy of the website Audionautix.com, and is licensed under Creative Commons 3.0. A new (and secret) take on saving money! Today we unveil our new “Hey! Check Out This App!” episode format as Morgan Mulgrew takes me through her experiences using the Digit automated savings app. Take ten minutes to learn of a disruptive new way to save money. Special thanks to Kevin Davison of Twittering Machine Productions for the new episode stinger; Audio mastering by Jeff Gehlert of Allegro Media Design. Some music is courtesy of the website Audionautix.com, and is licensed under Creative Commons 3.0. You think you know how to Google? You’d be surprised at all the functionality hiding behind that search bar. Mike ‘the Tool Man’ Taylor returns to the Mindset Digital podcast to walk me through a whole lot of tips that will make you a true Google Ninja. Social media is often the first harbinger of breaking news, but when that news is dangerous, misinformation and rumors start to fly. That’s where journalists step in to post vetted information, appropriately sourced. But what happens if those journalists are college students? In this episode, we sit down with Spencer Hunt, Ohio State’s Director of Student Media to talk through how his student reporters covered the attack on campus this past November. We discuss why your summary is more important than ever. As Livestreaming from your phone approaches its second birthday, we examine new reasons to go live, learn best Periscope practices from guest Ryan Clarkin, and offer up something on the internet to make you laugh. Livestreaming from your phone is about to turn two years old, and Creative Director Pete Brown says efforts are underway by the big players to convince the public to lower the bar for going live. Plus, personal trainer and popular Periscoper Ryan Clarkin shares some of the best practices he’s developed from going live each and every day. Finally, Danika Stahl returns with something on the internet guaranteed to make you laugh. Few things can ruin your day like a terrible webinar or online meeting. In this week’s Tool Time edition of the Mindset Digital podcast, Mike Taylor says there’s a new option that’s worth checking out. In this three things episode of the Mindset Digital podcast, three team members get four minutes each to bring host Pete Brown up-to-speed on recent and interesting developments in the ongoing digital revolution. Matt Weiner talks Alexa and CES, Jen Michaels talks Alexa and murder, and Hope Madden proves that refrigerator-smack-talk is totally a thing. Check it out! Alexa. Dollhouse. Cookies. Rementioned on local news. Viewers’ Alexas attempt to order more dollhouses. Put a passcode on your Alexa, y’all. Or disable voice ordering. Vine was a quirky, fun and creative social network founded on the premise of six-second looping videos, and not much more. So why did Twitter shut it down? In this episode, we breakdown why Twitter is shuttering video-looping network Vine and put Hype – the new app from Vine’s original creators, to the test. What;s more, Hype (and former Vine) creator Rus Yusupov tunes in to our Hype livestream and answers a couple of questions from the team. Our Hype session broadcast during the podcast. Back in 2013, BuzzFeed picked their favorite stop-motion Vines. And of course, there was that time we threw a red solo cup around the office. We’re trying out a new mini-episode format: Three Guests, Three Topics, Four minutes each. This week, the team brings creative director Pete Brown up to speed on Harambe and the Cincinnati Zoo’s twitter account, livestreaming from the bottom of the ocean and the NFL’s Thursday night deal with Twitter. Invest 15 minutes in getting the just-what-you-need-to-know scoop! Check out the Nautilus team’s future live streams here. Photos from the past and present of the wreckage. Like the show? Review us on itunes! Today, it’s easy to put your message out there…but how do you get people to tune in? In our Building an Audience series, we’ll look at how real (non-celebrity) people have built a robust audience on social media, and how it benefits their professional careers. All this, plus some wise words about ferrets. It’s Episode 7, and it is awesome. Is a ferret right for you? Audio mastering by Jeff Gehlhert at Allegro Media Design. Episode 6: What’s the big deal with Pokemon Go? 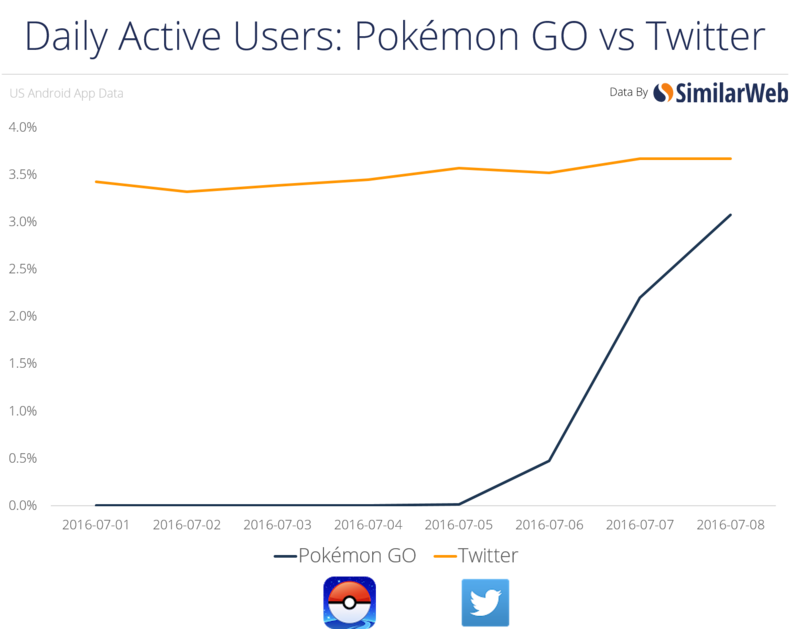 Since its launch late last week, Pokemon Go has taken the US by storm. Wondering what all the fuss is about? Not into Pokemon? Not a gamer? The Mindset Digital team breaks it down for you, soup-to-nuts style: What is Pokemon Go, why is everybody playing, and what can we learn from the sudden success of this app? How you look playing Pokemon Go! Is Pokemon Go becoming a dating app? Do you ever get the feeling there’s something going on that you don’t know about? That’s been the case for Creative Director Pete Brown as he works emojis into his communications. In this episode of the Mindset Digital podcast, all manner of MSD staff help get Pete up to speed. So if you’ve been looking for the right combination of emojis to express your distaste for salads, then there’s great things in store. We also cover the newest set of emojis — which include a black heart and a salad. Mindset Digital’s Mike Taylor will share a tool for adding even more emojis, and this time personalized, to your repertoire of smiley faces. Plus, Danika the fast-working intern takes up the challenge of finding something on the internet guaranteed to make you laugh. Jimmy Kimmel: What does this emoji mean? Music in this episode provided by Audionautix.com; Brian Hake and Kevin Davison provided interstitials. Audio mixing by Jeff Gehlert at Allegro Media Design. Like the show? Leave a review on iTunes! Music in this episode provided by Audionautix.com. Episode 3: The Livestreaming Showdown! It’s been just about a year since livestreaming from your phone went mainstream with the launch of apps like Meerkat, Periscope and Facebook Live. In this episode, we check back in with livestreaming and see what’s transpired in the past year. Plus, we go live on four livestreaming services at once (Periscope, Meeerkat, Facebook and YouTube) in the first ever Mindset Digital MEGASTREAM as Creative Director Pete Brown tries to make the office millennials laugh with a TV clip from 1963. Mindset Digital Creative Director Pete Brown co-opts the entire podcast to solve one of his personal parenting dilemmas, namely whether or not to let his daughter use Snapchat. The Mindset team is only too happy to discuss. Social guru Matt Weiner breaks down what snapchat is actually being used for, and its implications for both parents and business professionals. Mindset Digital founder Betsy Hubbard even drops in to share her wisdom on raising teenagers with evolving social platforms. The office millennials reveal the hidden meaning behind specific emoji so Pete will stop committing emoji faux pas. Could Snapchat Or Venmo Be The Next Big Competitors For Financial Advisors? Music in this episode courtesy of audionautix.com, licensed under a Creative Commons Attribution 3.0 Unported License. Interstitials by Brian Hake and Kevin Davison. Plus, Tool Time and Something on the Internet Guaranteed to make you laugh! Why a podcast? Why now? A few comments on why we think the time for MSD to fire up a podcast is here. A look at Twitter in 2015: The social network replaced its CEO and rolled out new features that suggest a much more visual future lays ahead; Is Instagram getting jealous? Plus, the top three emoji of 2015. This episode’s tool tip recommends Feedly.com to make your content consumption more efficient, plus something on the Internet guaranteed to make you laugh.